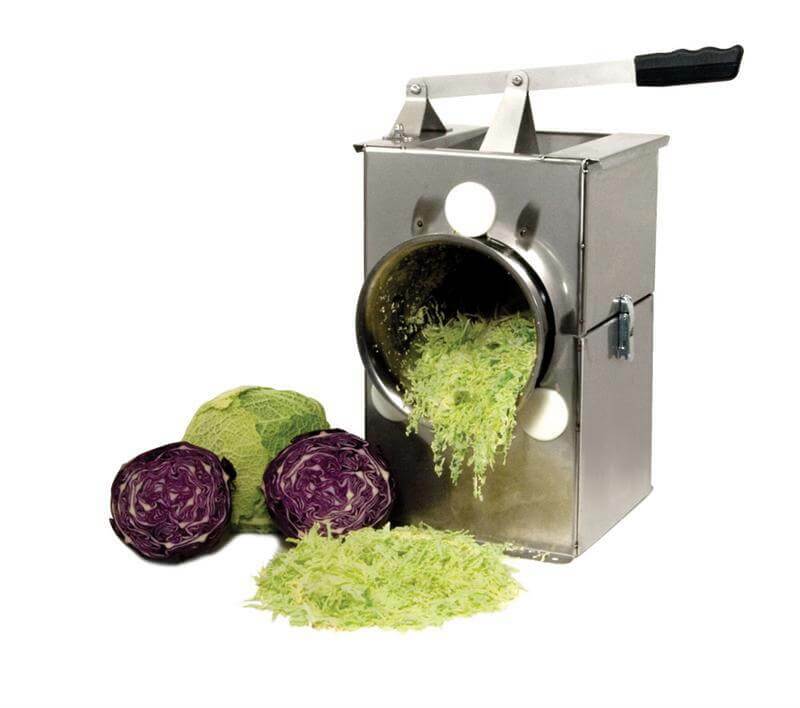 Make your own delicious sauerkrauts and coleslaws with this Deluxe Stainless Steel Cabbage Shredder . Using this product will cut your preparation time in half. Shred up to a dozen heads of cabbage in only 10 minutes! This design features three curved, fully adjustable cutting blades to shred to your desired thickness as well as a tossing cylinder to break up thick layers. Watch the video below to see how easy this shredder will work for you! 304 Series, 18 gauge Stainless Steel - Food Grade, Won't Rust! "Hands off" design keeps your fingers well away from cutting blades. Ease of use means you shred cabbage like a pro!